I once read a very scary article on chicken. I don’t want to remember the details, but it was enough to get me to buy organic meat from then on. And I still do. I am a big believer that what you put into your body has a direct effect on how your body performs (hello, allergies) and only try to eat what is truly good for me. So, I read labels and want to share with you what you are reading when you pick up a food label. Whole Foods has great explanations about their meat labels, right at the meat counter. The words cruelty free, cage free, environmentally friendly, nature’s friend, no chemicals, and vegetarian fed have no standards with the USDA. That means that food manufacturers can slap these labels on any food they wish, but they don’t really mean anything. It’s a pure marketing scheme to make you feel good about what you are buying. The words natural, no antibiotics, free range, and grass fed only have some regulations with the USDA. A HUGE percentage of food products are labeled “natural” and usually for no reason. I never trust a label that has the word “natural” on it, especially when it is on sugary cereals! The USDA has only approved the word for use with fresh meat. 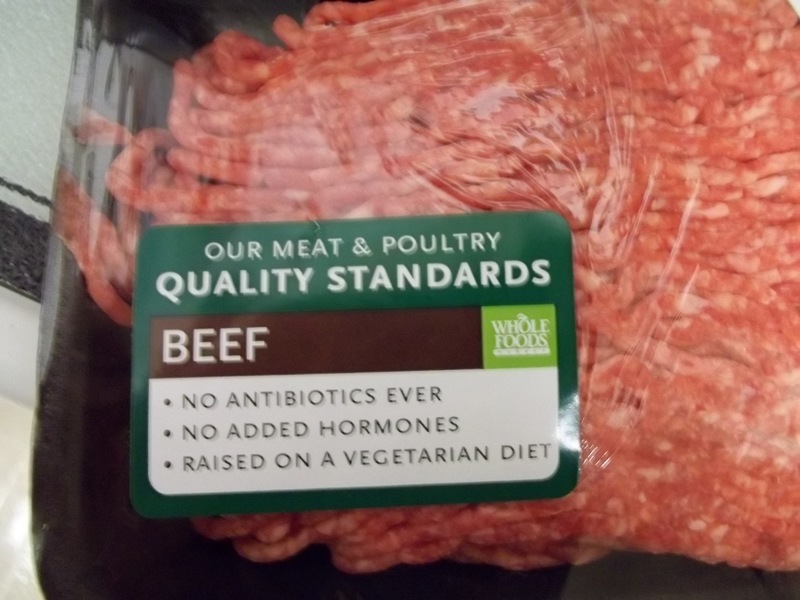 “No antibiotics” is difficult for the USDA to control because it is hard to keep tabs on the beginning to end of a food product’s production (in some cases, the life of an animal which could span several years). “Free Range” means that the animals have some sort of access to the outdoors, but this could mean only for a short amount of time or in very tight spaces. And there are no other regulations on how the animals are raised, such as what they are fed. “Grass Fed” can only be trusted when it says “100% Grass Fed.” That means that the animal was grass fed its whole life, instead of just in their infancy. Certified Human and Raised focuses on how the animal was raised, from birth to death. They can move around freely and behave how they naturally would. Fair Trade refers to the farmers and food raisers to get fair wages and working conditions. So, it is good for the food producers, but has nothing to do with the food itself. I hope that these words help you read labels critically and think twice about what you are putting into your body. Happy Allergy Free Eating! Well shame on us for being fooled by the Very Deceiving Label. The 3rd ingredient ? CORN SYRUP! Well the saying goes “fool me once….Never again S&W.